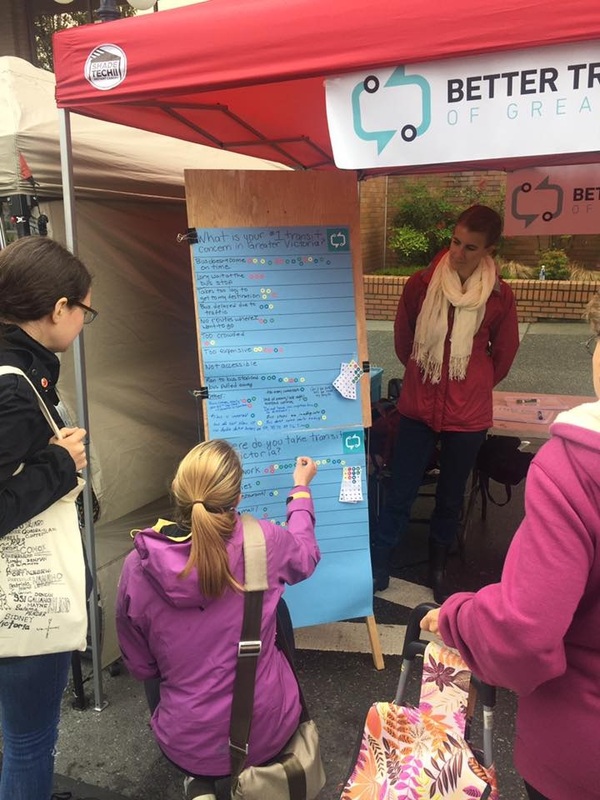 If you stopped by our booth at our first Car Free Day Victoria on June 18, 2017, then you might have participated in our informal sticker survey. We loved chatting with everyone who stopped by and hearing some of your transit concerns in Greater Victoria- as well as many positive stories of transit experiences in the CRD! The Better Transit Alliance tries to send an observer to every Victoria Transit Commission meeting. And the last meeting was more eventful than usual, with some bad news which we reported to the media. 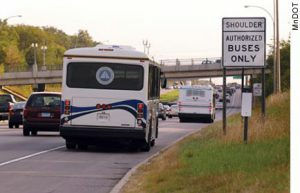 The basic story is that, like most construction projects in the region these days, the price for the bus lanes was higher than hoped as all the construction companies are very busy. Unfortunately there was not a big enough contingency fund in place, and bus lane construction has been delayed. 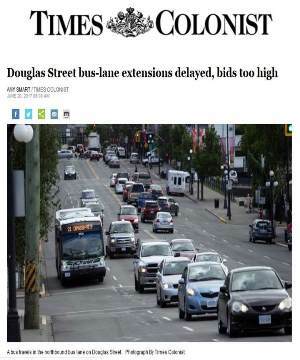 Where are the 24/7 Douglas / Hwy 1 Bus Lanes Promised in 2008? 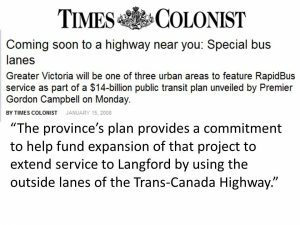 The BC Liberals promised 24/7 bus lanes on Hwy 1 all the way to the Westshore “soon” in 2008. 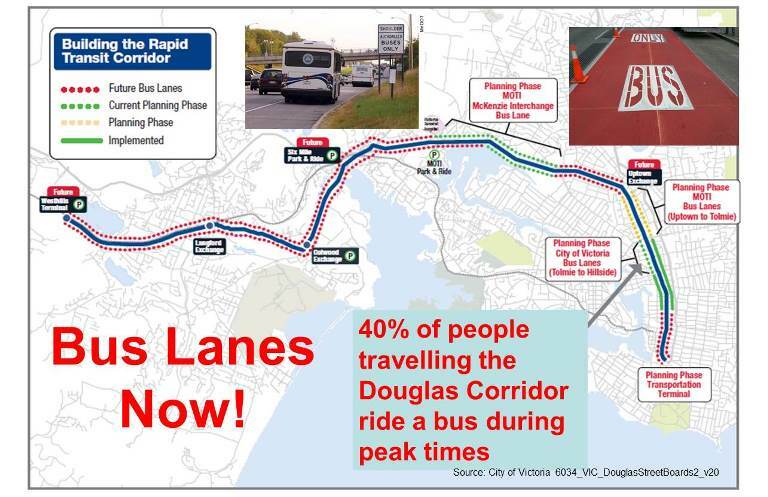 In September 2016, the City of Victoria signaled their intention to move ahead with 24/7 bus lanes on Douglas Street up to the Saanich border. “That is where we need to go — 24-seven all the way through the city. 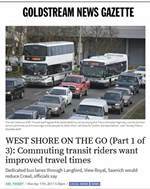 That’s when people will say I’m going to get on the bus” said Victoria Mayor Lisa Helps. 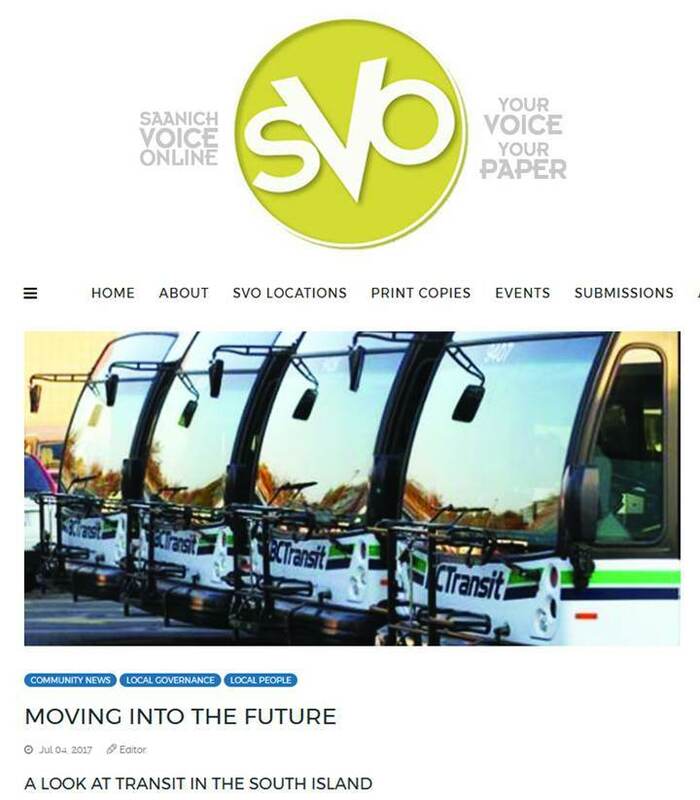 Do you take the bus from, to, or through the District of Saanich? 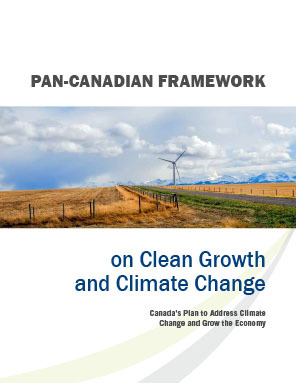 We encourage you to take their survey (it wraps up on January 31st, 2017). Your input will help inform the District’s 30-year Active Transportation Plan. 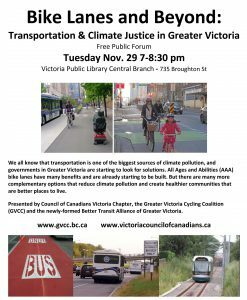 Public transportation is active transportation!